The taproom at Docks Beers will serve customers a range of ales and includes a stylish bar and shop. Grimsby’s Docks Beers brewery has its taproom flowing! Opening to the public later this week, special preview events saw the first craft ales poured at the completely overhauled former church. 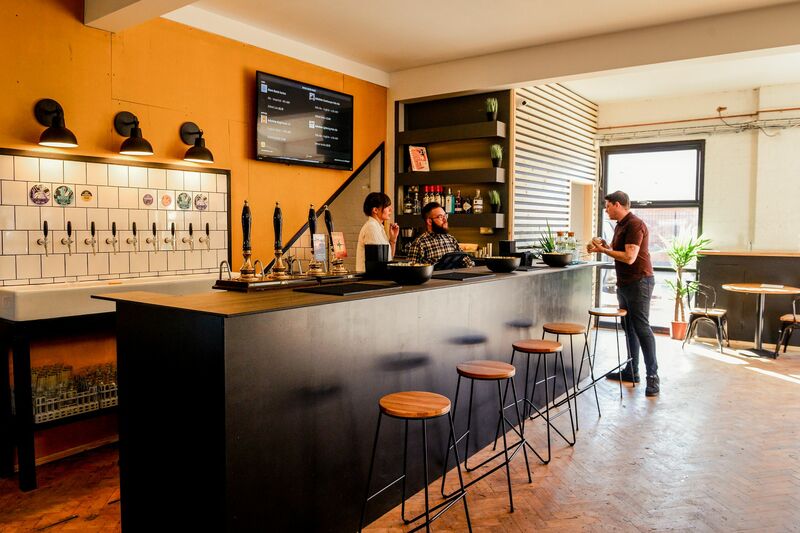 A stylish bar and shop now complements the in-view 15-barrel brewing kit, and if it wasn’t enough of an attraction, a 1979 Chevrolet GMC pick-up has been bought and branded up to further promote the King Edward Street venue. 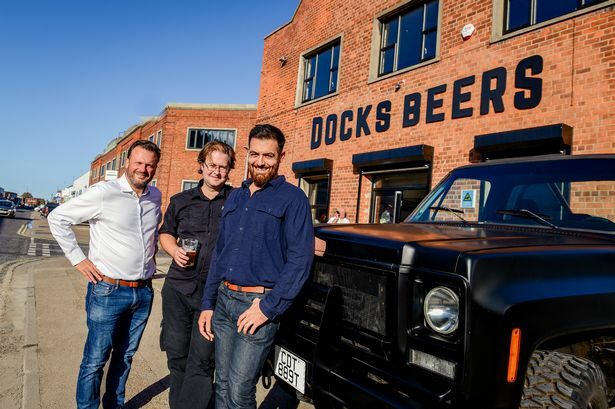 Pictured ahead of the official opening of Docks Beers in King Edward Street, Grimsby, are, from left, Will Douglas, director, Mike Richards, director and head brewer, and Shahram Shadan, director. 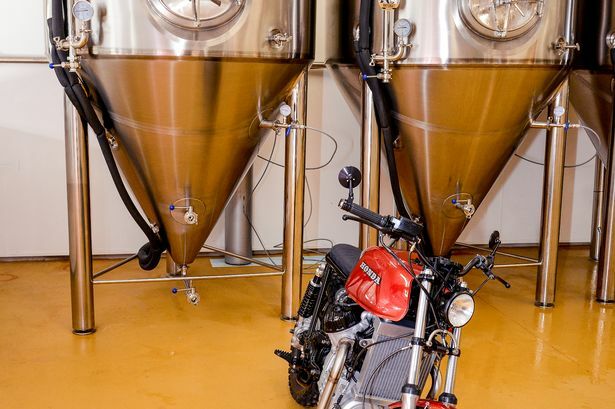 He said: “It was an old removal storage depot, part closed off for office space and piled high with furniture, but we could all see beyond that and thought it would make quite a decent brewery and taproom, with space for our future plans. Mr Shadan has brought development experience to the fold, having jumped on board alongside Mr Douglas and resort craft beer shop owner Charles Lumley. They came to the aid of what had become an all-consuming business started by Mr Richards and his wife, having taken to the Cleethorpes Pale Ale brew. Mr Shadan said: “It has been very rewarding, and I feel a great sense of pride in it and everyone I have worked with. Opening to the public from noon in Wednesday, it will open noon to 8pm on Wednesdays and Thursdays, until 11pm on Fridays and Saturdays, and until 4pm on Sundays.